Comments Off on Who Told Reporter The Name Of The So Called McCann Twitter “Troll” Whose Tweets “Did Not Constitute A Criminal Offence”? Who Told Reporter The Name Of The So Called McCann Twitter “Troll” Whose Tweets “Did Not Constitute A Criminal Offence”? 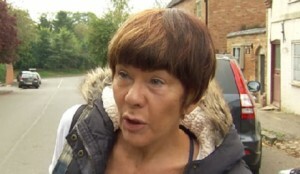 Remember Brenda Leyland, the lady who killed herself last October after being doorstepped by Sky News crime reporter Martin Brunt who accused her of being a “twitter troll” for posting “abusive” tweets about the parents of missing Madeleine McCann? There appears to be a bit of a mystery about how Brunt got the tip off. Did it come from the police – in which case was it passed to Brunt from a police officer? Who obtained the information and gave it to the police in the first place – and how was the information obtained? Did the source by pass the police and send it to Brunt directly? But the coroner thought otherwise. The coroner said she could not compel him to reveal it and that Brunt was not accused of any criminal offence. In which case one might ask why didn’t the police simply close the file. Am I the only person who thinks there are still some questions to be answered about this affair? JAZZ HANDS – COULD THEY BE JUST A TINY WEE BIT…..RACIST?